Captured this highly endagered Tarsier species at Tarsier Sanctuary,Corella, Bohol, Philippines. 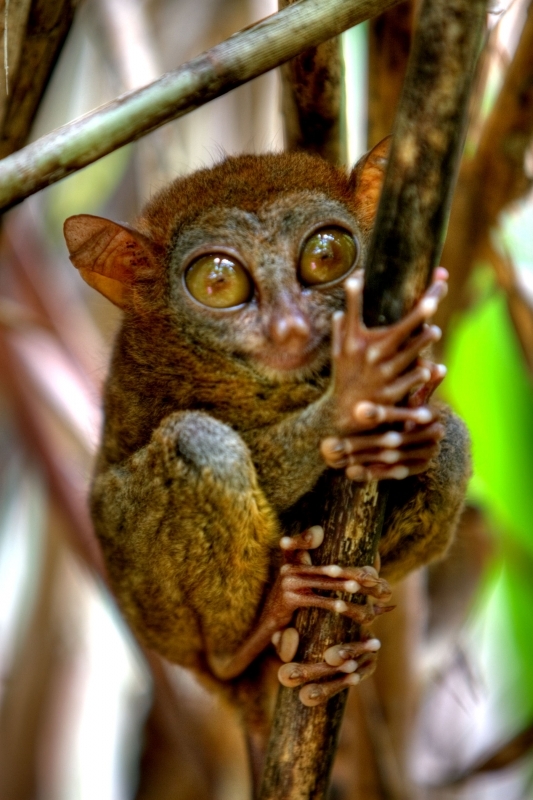 It is the smallest primate in the world approx 5 inches in height. This is an HDRI image from a single RAW file.